Most Christians live their lives as a witness for Christ, letting their actions do the talking but never actually share who Jesus is and what he has done for them or all of humanity. One of the main reasons Christians do not sit down and fully share the Gospel is fear. The bridge between “hey how’s it going” and “Jesus died so that we can live” is too far apart. It seems too heavy and many of us don’t feel comfortable going there. If you call yourself a follower of Christ, He commands you to not be ashamed of the Gospel but to share it with everyone you know. Encounters of Hope exists to help you do just that! 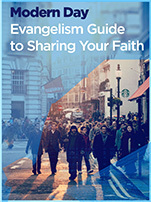 Our evangelism tool is truly unique and engaging. We strive to create an amazing user experience that utilizes the web and video to engage with people about Christ. This was very intentional as we live in a generation that grew up with technology. It is weaved into the very fabric of our culture and therefore in order to build relationships, we have to relate and be relevant. Additionally, our culture now communicates visually as you can see if you spend a few minutes on any social network. So in order to stay relevant we must now adapt and share the Gospel visually and leverage technology to speak the language of the 21st century. Research has shown that stories shape our brains, tie strangers together, and move us to be more empathetic and generous. In today’s world of endless cable channels spanning every genre to Youtube and Facebook, visual storytelling is exploding and so we have chosen that medium to tell ours. We believe this unique approach really works because it allows our user’s to experience the Gospel in a way they are used to and feel comfortable with. So we think one of the most important aspects of Encounters of Hope is the way the message of Christ is told. It begins when a user goes to activate their gift card and is guided through our powerful, interactive video experience that shares the Gospel. And it doesn’t end there, we follow up with each card recipient and continue to encourage them and share the message of Christ through our email curriculum. Find out exactly how our tool works here.